You don't need tons of cash to be warm, comfortable and hott (with two t's) this winter. Just a few key pieces will complete your winter wardrobe needs for both workdays and weekends, because you probably already have some basics to fill in the gaps. Get it in your head that you don't need a closet stuffed full of clothes to dress well; in fact, the simpler the better. I promise it's way easier to get dressed when you aren't overwhelmed by too many choices, clothes that don't really fit, aren't in style anymore, are worn out or in disrepair, or that you just don't wear anymore because you don't feel great in them. First off, treat yourself to a new pair of boots this winter. Depending upon the weather in your location, you can go with either ankle, calf, or knee high boots. Here in the Rocky Mountains, we are boot-crazy. So yes, I own about 8 pairs total, but that is totally unnecessary. If you are going with a black/grey color scheme, you want to choose black or grey boots. They will go with everything you wear. Next, get your leggings and pants. For the black/grey scheme, a pair of black leggings are a must. You can also get a pair of black stretchy jeans or jeggings if your budget allows, and then I would add a pair of colored jeans in another color that pops with black, like the fuchsia jeans I show here. Basic black/grey winter wardrobe. I show all three boot options here, but you really only need one pair. For tops, I recommend three sweaters, with one of them being a long cardigan that you can layer over tees. Stick with greys and blacks. Then add a white tee and a black tee--these can be long or short sleeved. And finally, a fuzzy-warm-on-the-inside sweatshirt hoodie for weekends. For accessories, I recommend getting a scarf that goes with everything, like the black-and-fuchsia leopard print one I show here. Or, a basic black/grey/white patterned scarf will work as well. You need a black belt and a black/grey bag, and you're all set. Now, I could keep going with these basic pieces, making different outfits--these are just a few of the options. 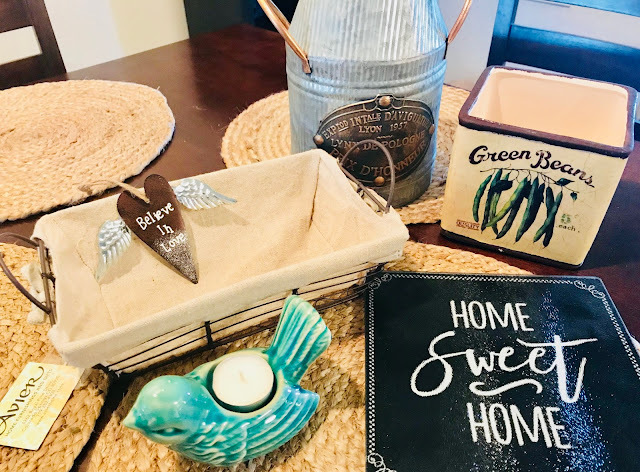 You can also build on these basics with items you already have, or things you find on sale here and there and want to add in. If you want to go with a brown/tan color scheme, obviously you want your boots to be in the brown/tan color family. I'm adding in a heather grey legging, an olive skinny jean, and a denim jacket. I couldn't get away with just one scarf with what I currently own, so I'm using a light grey as well as a warm brick red one. For tops, a leopard sleeveless sweater, a basic cream cable knit, a plum sweater dress, and a long oatmeal cardi, plus a greenish-grey tee. 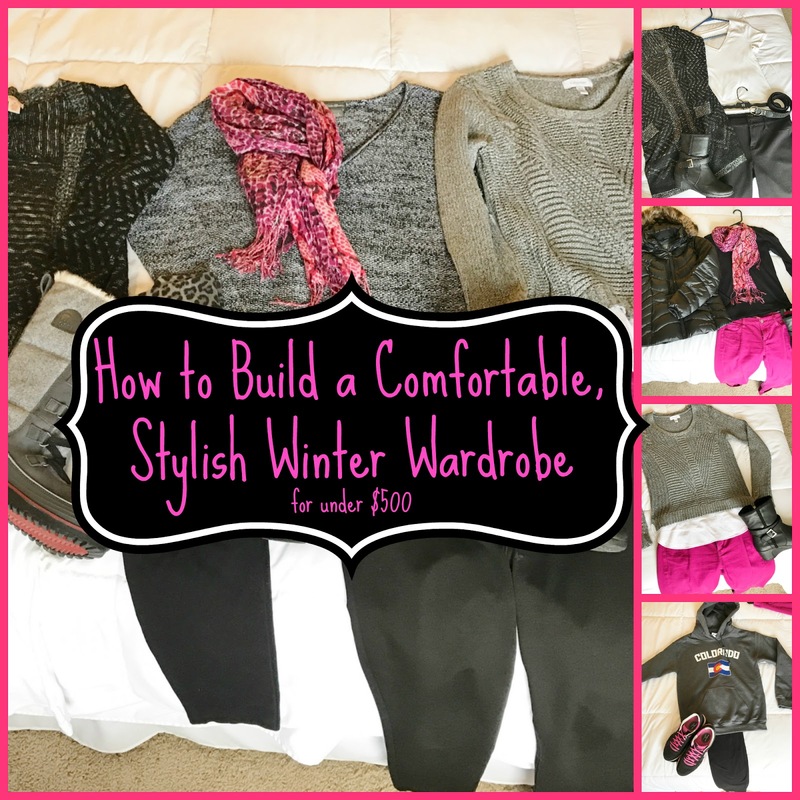 ...you should have an amazing core winter wardrobe for the cold months ahead. And if you're like me, nothing helps me say "Bring on winter!" like warm, comfortable, stylish new clothes.